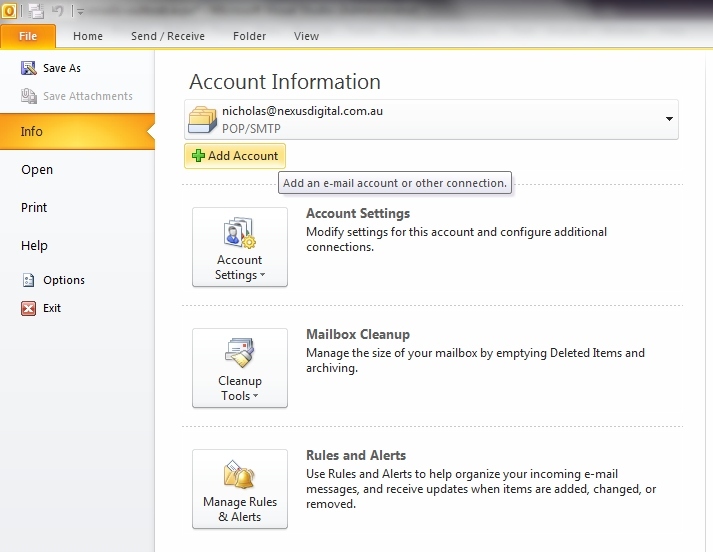 The following series of screen shots show you how to setup an email account in Outlook Express. Before starting you will need your email address and password. Your username is the full email address for example email@domain.com. The incoming mail server is mail.nexusdigital.net.au and the out going mail sever is your ISP's mails server. 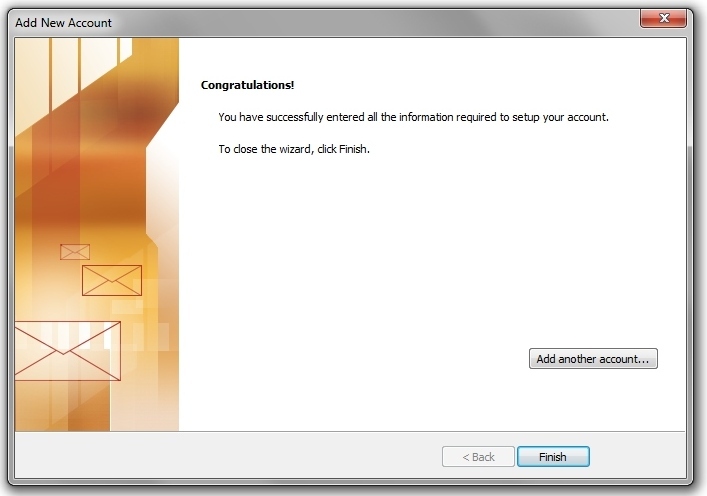 1) Firstly, choose 'File' and 'Add Account'. 2) Select the last option 'Manually configue...' and click 'Next'. 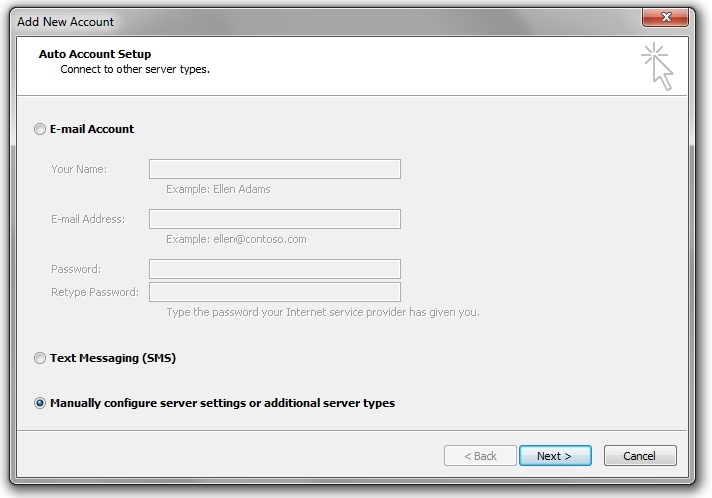 3) Select 'Internet E-mail' and click 'Next'. 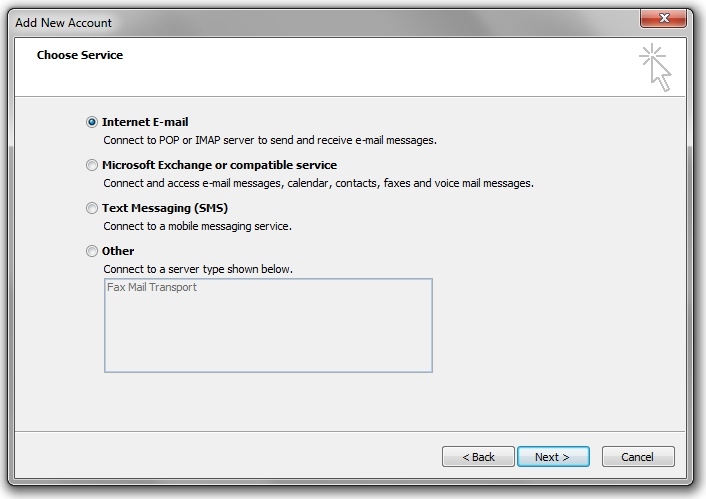 4) Enter in your name, email address, incoming mail server (mail.nexusdigital.net.au), for the outgoing mail server enter in internet provider mail server (E.G. 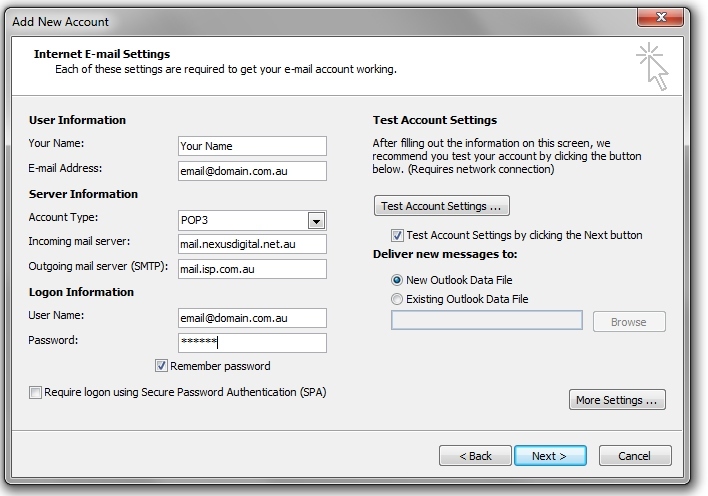 mail.tpg.com.au, mail.bigpond.com), username and password. If you are unsure of your internet provider mail server Click Here for a list. 5) Click 'Finish' and your done.